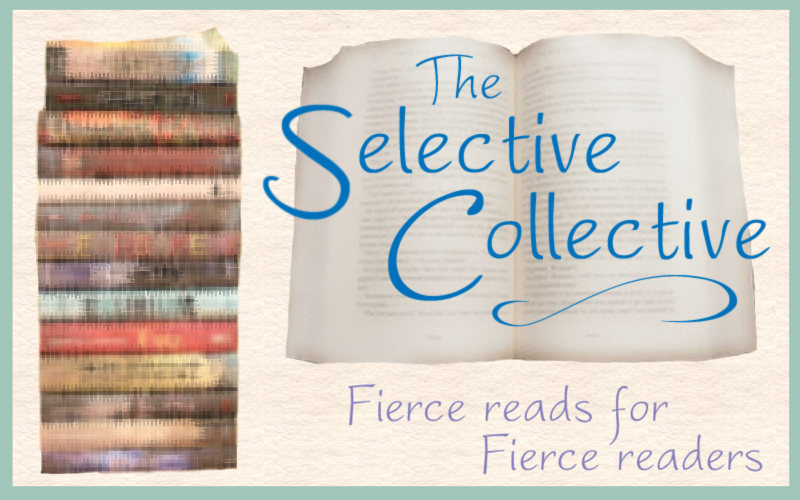 The Selective Collective features DUALED: Author Q&A and Giveaway! The Selective Collective features DUALED by ELSIE CHAPMAN, sent to us by Random House for review and book club discussion. For my part in this Selective Collective post, I was honored to be able to interview author Elsie Chapman and get a few insights about DUALED! I’ve been anxious for this book for a long time so it was so much fun to have a little Q&A with Elsie! Book Synopsis: The city of Kersh is a safe haven, but the price of safety is high. Everyone has a genetic Alternate—a twin raised by another family—and citizens must prove their worth by eliminating their Alts before their twentieth birthday. Survival means advanced schooling, a good job, marriage—life. 1. I always love to hear where an author was when they came up with the idea for their book. Do you remember where you were when the idea for Dualed popped into your head?? EC: It was actually a question my son asked that became the inspiration for DUALED. He asked me if it was possible we all had doubles out there and just didn’t know about them. I thought the idea was such an interesting one, and that’s how DUALED got its start. 2. The characters in Dualed have very unique names! Did you have any inspiration when naming them? EC: Naming characters is something I still struggle with, actually. And I have a hard time writing a character unless they have a proper name, which doesn’t make it any easier! I visit baby name sites for ideas. Usually I’ll know right away if a name is right. So with West and Chord, both names instantly felt perfect. 3. I’m always amazed at the amount of strength that authors are able to portray in their characters and love how much I end up admiring them! I know if I were West, I wouldn’t have the courage to hunt down my Alt! How do you think you would do in her shoes? EC: Not very well at all! I’d have to attack by pure stealth because I wouldn’t have the skills to win any direct confrontation. Though if you add pure desperation to the mix, it would probably make things very interesting. 4. Kersh is a self-sufficient city with its own set of rules put in place by the Board. Was it difficult to build an entirely new world with its own government and laws? EC: It was definitely one of the more demanding parts of writing Dualed. Imagining a new world from scratch really pushed me to see how even little details can matter. And world-building is—for me—a much more technical process than, say, fleshing out a character arc. My editor was brilliant in helping me see everything more clearly. 5. My favorite parts of Dualed were the action scenes as West assesses and hunts down her Alt. They really got my heart racing! What was your favorite part of the book to write? EC: Thank you so much! I’m really happy to hear that because the action scenes were my favourite parts to write. They were the ones that came easiest, as well. 6. Did you always plan on continuing Dualed as a series? What can we look forward to in book two? EC: I actually wrote Dualed as a standalone, though I did have some ideas of where a sequel could go if one was requested. Divided will continue to be West’s personal story, about her struggles with what she’s done to survive, and what all of it can mean for her and Chord. And lots more action, of course! A big thanks to Elsie for some really great answers! I always love hearing from the author. I feel like it adds such a more personal aspect to a book! And please don’t forget to check out the features from the other ladies in The Selective Collective! We each have a post to feature a different side of DUALED so please go visit their take on the book as well! 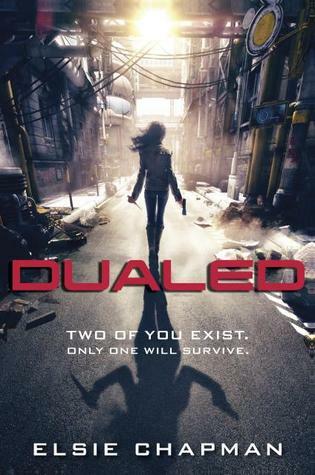 This entry was posted in Books, Dystopian, Selective Collective, YA and tagged Books, Dualed, Dystopian, Elsie Chapman, Giveaway, Interview, The Selective Collective, YA, Young Adult on March 1, 2013 by Brittany. You did have some really great questions! Godo job!! Fabulous interview. I love that the idea came from her son. Such a great interview. And I loved the little note she made to you. Very sweet!